With the choice of city breaks wider than ever before, selecting the right destination can be a tough call, particularly for families. Destinations across eastern Europe, Scandinavia, North Africa and even Dubai are now featuring regularly in people’s plans for a quick getaway, with the ever-increasing choice of direct flights from Edinburgh. Get it wrong and the parents will never hear the end of it! Sometimes, though, an old favourite can be the safest of bets and so it proved with Barcelona. We’d never taken the kids on a city break before but at the ages of 9 and 14, we thought our son and daughter were ready. But where to go? With a football-daft boy brought up on the magic of Lionel Messi and a daughter with a flair for all things art, there really was only one choice for us! 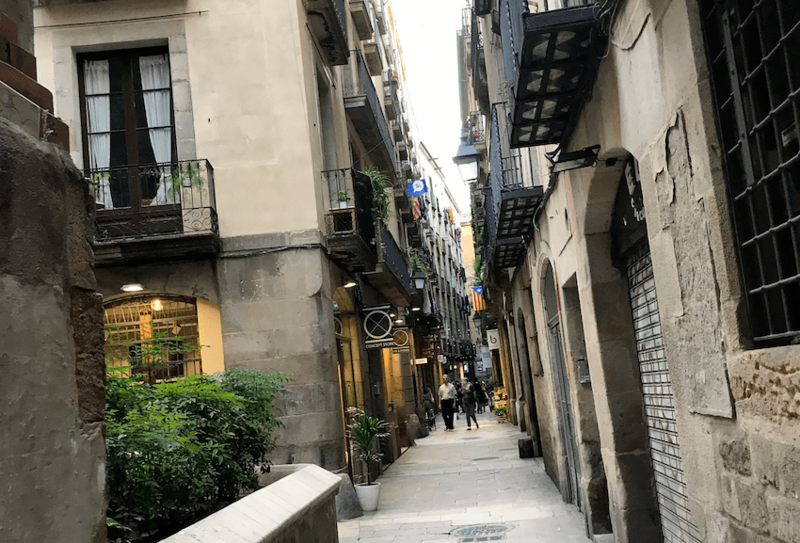 It had been nearly 20 years since I last holidayed in the heart of Catalonia, the passage of time doing much to cloud my recollections of the city, which I remembered was vibrant by day and full of tapas and late night cafes by night. So would it suit as a family destination? Any concerns I may have had of its ability to entertain as a family break, however, were quickly dispelled. An early-morning flight from Edinburgh with Ryanair and a 20-minute taxi transfer had us unpacking at the Deco-Born Apartments before lunch. 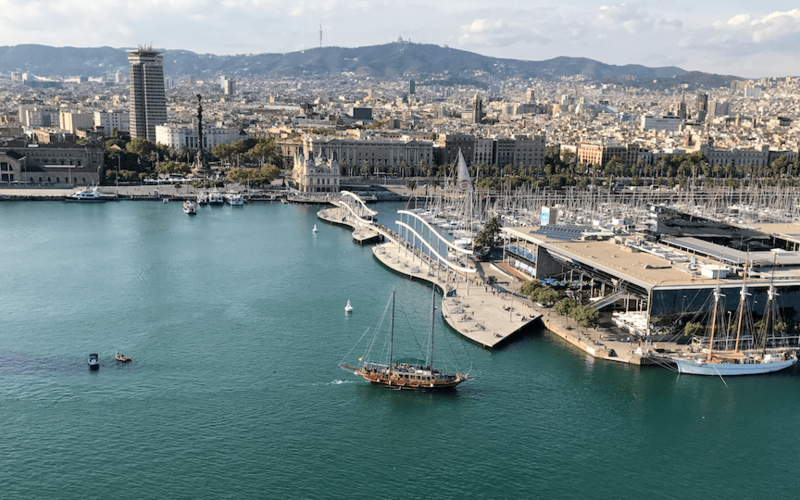 Just steps from the captivating Gothic quarter and a short stroll from the stylish marina at Port Vell and nearest Metro stop, these well-equipped, quaint and trendily renovated apartments proved to be the ideal base from which to explore. If you have specific things to see, the Metro is a very simple and cost-effective way to get around. In fact, navigating his way round the system became one of Michael’s favourite parts of the holiday! First up for the boys on the night we arrived was a trip to the towering Camp Nou for a Champions League game to see the main stars in action and thankfully Messi, Suarez, Iniesta & Co. were all playing. Boasting a capacity just under 100,000, it remains the largest stadium in Europe and we were lucky enough to see the Argentinian superstar score one of his trademark free-kicks! The following day saw us return, still on a high from the previous night’s game, for our pre-paid stadium tour. The self-guided tour helps unlock the history of the club and includes access behind the scenes, with a highlight for Michael being able to follow in the footsteps of so many famous players and run up the tunnel steps to the pitch. While the impressive arena is now showing signs of its age and looking quite tired in places, it still has an aura and should always be on the ‘must see’ list. A note of caution: beware the extortionate club shop! While we immersed ourselves in all things Barca FC, the girls made their way to the top of Las Ramblas to catch the popular hop-on, hop-off city bus tour, which although a bit pricey at €29 per person proved to be an ideal way to see all the sights. With 42 stops, the first hop off was at the famous Sagrada Familia, the stunning unfinished basilica designed by Antoni Gaudi. Its construction began in 1882 and with work still currently ongoing (making it longer to complete than even the Egyptian Pyramids! ), it is truly a wonder to behold. For those who prefer to explore it at their own pace, the audio guide ticket option was ideal for wandering around the facades and the beautiful interior of the basilica, which leaves a lasting impression. Back on the bus, the route took in other famous sights such as Park Guell (another Gaudi-built tourist favourite) and the Olympic Stadium, host to the 1992 Games. An afternoon stroll and ice cream was calling at Poble Espanyol, a gem of a mini village with its array of small restaurants and cafes dotted around its narrow streets and little squares. With artisan workshops and a museum of contemporary art, it was an ideal way to spend an hour or two. The breathtaking cable car ride from the marina was another highlight as was the entertaining Magic Fountain Show in the Montjuic neighbourhood, a free, open-air evening spectacle which even the locals make a point of watching. Bull fighting has been banned in Catalonia since 2012 and one of Barcelona’s old bullrings has been preserved and transformed into the huge Las Arenas shopping mall on Placa d’Espanya with a roof terrace offering the public 360-degree views of the city. Like the delicious variety of tapas on offer at its myriad of restaurants, Barcelona has something for everyone. From culture vultures to beach bums and sports fans, the city has it all. If the city has been scarred by the terrorist attack which wreaked havoc on Las Ramblas in the summer, the wounds appear to have healed well. The horrific events never entered my mind as we explored the pulsating city, breathing in its unique atmosphere at every opportunity. My wife and daughter have made a pact to return in 2026, the proposed completion date for the Sagrada Familia. I’d happily see us revisit long before then. Ryanair: (4/5) Punctual, early-morning flight helped make the most of the short break.